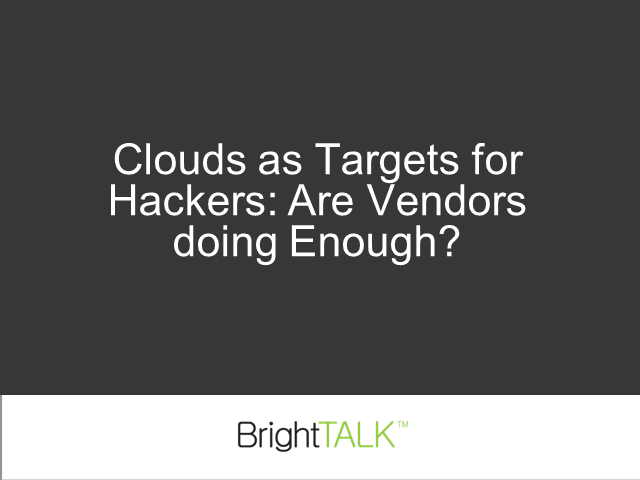 Clouds & Endpoints Targets for Hackers: Vendors doing enough? Join Ward Spangenberg, Director of Security at Zynga Game Network; Becky Pinkard of SANS Institute and Dave Asprey of VP Cloud Security, Trend Micro as they critically evaluate if vendors are doing enough to prevent the threats from hackers in the cloud. Title: Clouds & Endpoints Targets for Hackers: Vendors doing enough?